Chris Ramsey will leave Portadown at the end of the season after signing a pre-contract deal with Cliftonville. Ramsey, 25, will join the Solitude outfit on a three-year contract. The defender will link up with his former Ports team-mate Darren Murray who moved to Cliftonville from the Shamrock Park club in January. Michael Gault will also leave Portadown at the end of this season after signing a pre-contract deal with current champions Crusaders. 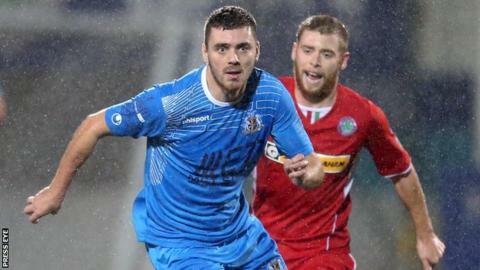 Ramsey, who represented Northern Ireland and youth and under-21 level, joined Portadown from Ballymena United six years ago. Portadown manager Ronnie McFall is expected to step down at the end of this season after almost 30 years in charge of the club. The Ports are a disappointing seventh in the Premiership table after losing 16 of their 29 games.